﻿ Guti: "Questioning Cristiano Ronaldo competence makes no sense"
13.12.2011» Guti: "Questioning Cristiano Ronaldo's competence makes no sense"
Guti Hernández also felt the need to defend Cristiano Ronaldo from all the recent critics that keep pointing him as the main responsible for Real Madrid loss against Barcelona. Guti said that questioning Cristiano Ronaldo's competence and quality is like doubting from Messi, when he plays for Argentina. The former Real Madrid player, Guti Hernández, believes that the way Cristiano Ronaldo is being treated after the "Clasico" against Barcelona is quite unfair. Guti claimed that Ronaldo remains being a very important player for Real Madrid and that in football, players can be treated as Gods in one day and completely disregarded shortly after. The Portuguese player has been the target of many critics coming from both the press and the fans, after Real Madrid 1-3 defeat against Barcelona, in the Santiago Bernabéu. 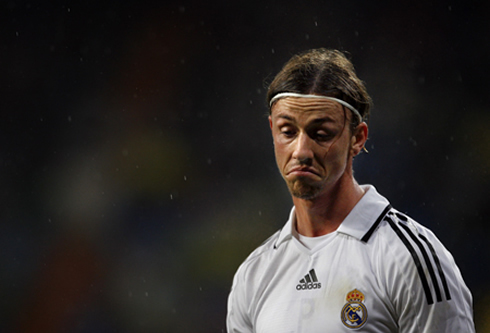 Guti played for Real Madrid for a very long period, more precisely between 1995 and 2010. He has always been seen as bit of a "bad boy", but he surely carried the Merengues mystic after representing the club for so many years. 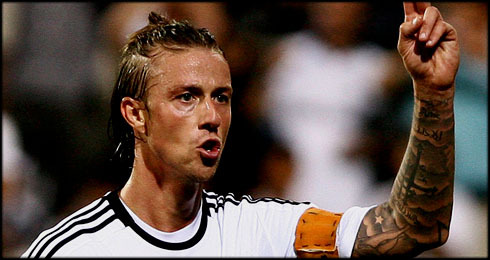 While playing for Real Madrid, Guti had 387 appearances and scored 46 goals. In the summer of 2010, he transferred to Besiktas, but he recently terminated his contract prematurely, claiming to have a few misunderstandings with the club's Portuguese coach, Carlos Carvalhal. 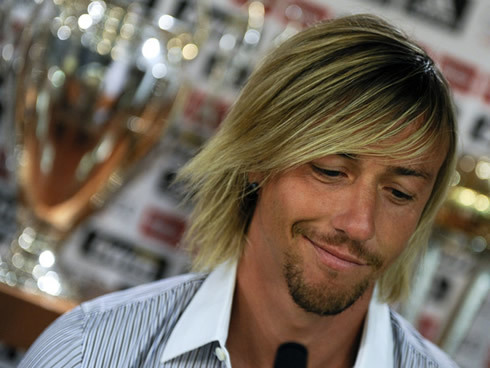 Guti's future will now reside in a club from either China or Dubai, but if not, the Spanish player confessed he could very well retire as well. Regarding this last Saturday's "Clasico", Guti started by pointing out that he didn't like seeing Barcelona's president statements and said that he shouldn't be that cocky. Guti: "Sandro Rosell should be more humble", just before commenting all the buzz that has been been happening towards Cristiano Ronaldo and all the critics from which he's being a target of. Guti: "Questioning Cristiano Ronaldo's competence makes no sense at all. It's just like when people start doing the same when Messi can't perform very well for Argentina. But that's football and we all know that they are the best players in the World. Whenever they have a bad game, people will always make a big thing out of it. Football is like a rollercoaster and when things go your way, you can feel like a God and as if no one can touch you", noted Guti, in an attempt to exonerate Cristiano Ronaldo as the scapegoat for Real Madrid loss against Barcelona. However and as the Spanish player has already said in the past, he keeps believing that Lionel Messi is still one level above any other player in the World right now, including Cristiano Ronaldo. Guti: "Messi is better than Cristiano Ronaldo. When Barcelona needs him, he always shows up in the most important matches. In my opinion, that's what is missing in Ronaldo, but he still remains very important for Real Madrid, as he keeps prooving over and over." Real Madrid next game will be against Ponferradina, on the 13th of December, in a fixture for the Spanish Copa del Rey. After the harsh loss against Barcelona, Cristiano Ronaldo has been called up for this match and should participate in it. You can watch Juventus live stream, Ponferradina vs Real Madrid for the Copa del Rey this Tuesday, but also Barcelona vs Al Sadd on Thursday for the FIFA Club World Cup semi-finals, and QPR vs Manchester United on Sunday for the English Premier League. All these games will be available from our soccer live streams section. You may check how much time is left for the next Cristiano Ronaldo game, by looking at the countdown timer, located on the top right corner of all pages.